Ky’lama is a channel of divine healing energy. Ky’lama’s Attunement Master Healing Sessions are a blessing to your soul. The sessions are conducted by taking you into a meditative state and creating a field of light around you that interacts with your energy field to begin to shift old paradigms and birth a new way of being. Ky’lama will assist you to create a clear intention and objective for the session and will tune in and read the energy of what is occurring and assist with creating a space of deep communion, resolution and healing of what is occurring. Ky’lama will assist in gaining clarity, deeper self acceptance and love, and bring you into a space of deeper inner harmony and a path to greater fulfillment. Ky’lama’s sessions are all unique - no two are the same. 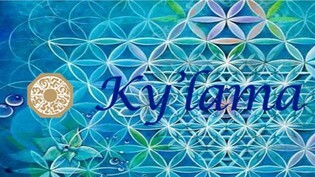 Ky’lama intuitively connects to your energy field and looks at what is challenging you at the time and creates a field of energy around you calling in assistance from the Angelic realms, the Celestial realms and the Ascended Masters to transform what is happening for you so that you are supported to move forward in your life. The energy that is transmitted in the sessions is a crystalline high frequency encoded vibrational wave(s) of sound, light and love. It is channelled by Ky’lama’s Presence and guides as they create these energies to address the imbalances that are being focused on in the session. What you receive in the session is beyond the mind and you receive much more than it is possible to fully describe due to the subtle refined and complex nature of the energies. This is why it is described as a divine blessing because it stretches far beyond what is stated or spoken. Ky’lama supports you to be your potential. Session Exchange : ~ 2 hours. 1. 1996 – 1999 Training in Chiron Healing. Qualified as a Practitioner and Teacher. Chiron Healing is a completely unique and powerful healing system that was originally channelled by Jan Trenorden who has since passed away. Chiron Healing works with the diamond plates of the body. The diamond plates are a part of the intricate architecture of the etheric body that also uses the more commonly known auric bodies of the etheric emotional mental and spiritual “layers”. The diamond plates create a connection with the lightbody when a person begins to open their spiritual connection and advance their growth as a soul. The Diamond plates drawn diamond light to the body to activate change through healing and integration of many parts of their soul nature. 2. Pleiadian Lightwork 1999 – 2001. Ky’lama undertook training with Amorah Quan Yin the author of The Pleiadian Workbook: Awakening the Divine Ka and also The Pleiadian Workbook Part 2: Awakening the Divine Ba. She also wrote a book Pleiadian Perspectives on Human Evolution and another book Affinity: Reclaiming the Divine Flow of Creation. Ky’lama spent 2 years training with Amorah and completed Six Levels of Training. Full Sensory Perception Levels 1, 2 and 3. Pleidian Lightwork Intensives Levels 1, 2 and 3. 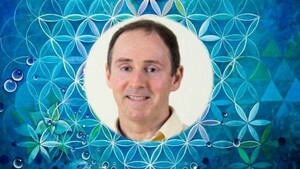 He was accepted as a certified practitioner and Teacher of Pleidian Lightwork. During this 2 years of trainig Ky’lama was able to develop a deep connection to the Pleiadians who are star beings that are supporting the healing of earth and all it’s inhabitants so all humans are able to experience their divine nature. 2003 GAIA Mystery School Training - Ky’lama completed a One Year Training through the Seership Program. This training was an extensive journey in development as a healer and seer and supports developing higher self connection (connection to your own divine presence) for the purposes of being a channel for divine energies. In 2007 GAIA Mystery Scool Training Ky’lama was a mentor for 16 students worldwide that were undertaking the intensive one year training program similar to the one Ky’lama attended in 2003. 2014 The Self Mastery School of Loving Presence – The GAIA Mystery School sytem was renamed The Self Mastery School. Ky’lama was again a mentor for 21 students world wide to guide them through the intensive one year training. Also Ky’lama undertook a one year training program with Qala Sri Ama called EASE which stands for Energy Alignment the Science of Enlightment. This was a program involving a series of activations twice monthly that activated the expansion of your spiritual energies to facilitate assistance for healing ancestral and community energies. The Bank of East Asia, A/C No：015-523-68-00967-2【Lightworkers Limited】，and Whatsapp or email us the payslip as confirmation .